The Web today is a tool that allows to quickly and effectively reach the largest number of users, and thus of potential customers, all over the world and in any language. Thanks to the increasing popularity of mobile devices (smartphones and tablets with Wi-Fi or direct connection to the Internet), these users can also be reached at any time. 95% of Internet users consider search engines the best means for finding information, and 53% of those who use search engines then proceeds with the purchase, booking or first contact to obtain more information on the chosen website after having evaluated the offers found. There is an increasing number of users that, trusting the information obtained through the search engines, decide what product or service to buy and where to buy it. The Web is therefore an essential channel to generate contacts and acquire customers, but you must be able to exploit this important means of communication at its best in order to effectively reach your objectives, including the promotion and website positioning on search engines in your media mix. Since 1995, our team of experts in Web Marketing and Website promotion has been working to ensure visibility and traffic of users interested in products, services, and events offered by our customers' websites. Website promotion is a complex activity, whose purpose is to ensure the visibility of the pages of a Website (specially designed to present and offer in an attractive and interesting way, a product, an initiative, a service, a brand ...) thanks to a series of activities aimed at making these pages easy to reach by those who perform searches on search engines using keywords/search keys. the pages resulting from search, for each keyword considered, are among the TOP30 (within the first 30 search results ). The pages that benefit from the promotion with positioning among the TOP30 results have been designed so as to make them compatible with the strict rules of the search engines (there are many questionable search engine optimization techniques that easily cause the removal of the pages or entire Web sites from search engine indexes). Website promotion with positioning on search engines is effectively maintained over time (many improvised website promotion actions give positioning results which disappear in a few weeks ...) thus ensuring to the pages and to the website an effective and lasting presence with good visibility among the search results. 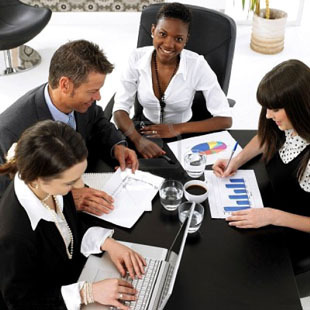 With Ability Services Website promotion will no longer be a concern, an expensive uncertainty and sometimes a not very productive one, but an activity planned with care and competence by professionals who work for you and with you and offer you reliable and measurable results. Website promotion? Ability Services is a marketing and communications agency specialized in website promotion for over 15 years and in more than 50 different languages. Our team of experts in website promotion will support you with professionalism by preparing free feasibility studies for the promotion of your websites using keywords that are truly important and used. For website promotion you are on the right page. Ability Services is a communication and marketing agency that offers solutions for the promotion of websites on all online channels. We are among the best agencies in the sector, with qualified professionals who work for you with success in the sector of website promotion for your company. With hundreds of successful website promotion projects, we are confident that you will be satisfied and enthusiastic for the traffic of qualified users to your site. Ability Services is a Team of professionals specialized in the Website promotion on search engines and website promotion on all online channels. We provide visibility services to any type of Online Business: for small and large companies and public administrations we offer services of website promotion that lead qualified and interested users to visit the promoted website. People often talk about website promotion, when in reality it is the pages that need to be promoted. Therefore, it is correct to say web page promotion, when a page is positioned on the top search results. Even if the entire website gains an advantage from web page promotion, it is the pages that are viewed individually, and it is the individual pages that must be designed with care so as to encourage users to perform predefined actions. What does web promotion or promotion on the web mean? Web promotion means to operate through WebMarketing tools to be able to increase the visibility of the company, product, service or event that we want to promote. Web promotion for pages, websites, blogs, Facebook profiles, everything can fall into this area of activity and any information published, online or offline, can benefit from web promotion. When we talk about promotion and positioning we refer specifically to search engines activities. But what does positioning mean? Promotion and positioning mean the creation of pages accurately optimized to appear within the first 30 positions of search engine results for a particular keyword. These pages are then positioned in the search engine index for predefined keywords. Ability Services has been operating for 20 years in the Web Marketing sector, offering professional services for search engine promotion. 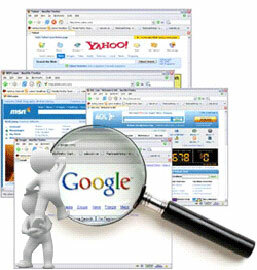 We are specialists in visibility and positioning on search engines, promotion on search engines and on Social Networks. Do you have a website and you do not know how to exploit it and how to obtain traffic and results? With search engine promotion you have the most effective solution to gain visibility and to ensure traffic of qualified and interested users to your website. Search engine promotion at affordable costs and guaranteed results! Users who are looking for your services, products, events, are all your potential customers: without our website promotion on search engines, they may not reach you. This is why we are here: to guarantee effective positioning in order to drive traffic of users interested in the basic keywords for your business sector. Website promotion on search engines is the solution to guarantee you qualified and targeted traffic. Most certainly your website has absorbed many resources, costing you money and effort, but if no one finds it, then all you did was wasting time and money: without any website promotion on search engines it would be like having websites that are beautiful showcases with their shutters down. With our services to promote websites, you will be able to ensure to your company visibility and traffic from interested users: not only good positions on search engines, but respect and visibility on Social Networks and immediate geolocation on mobile devices.